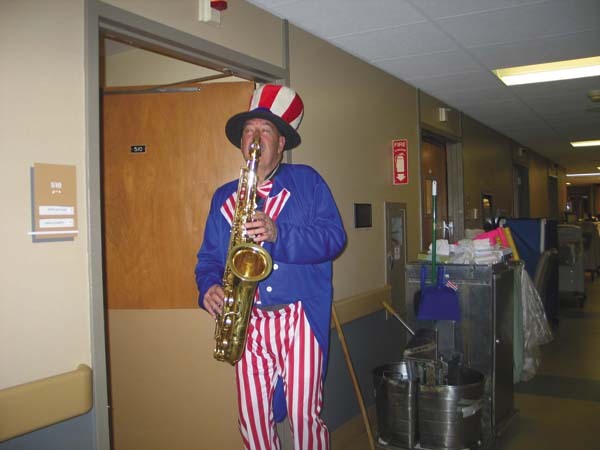 GLOVERSVILLE — Music could be heard down the halls of the Fulton Center as Luke McNamee, dressed as Uncle Sam, went from room-to-room playing music for the veterans on Friday. That was just one of the many ways the Fulton Center honored their veteran residents for Veteran’s Day. 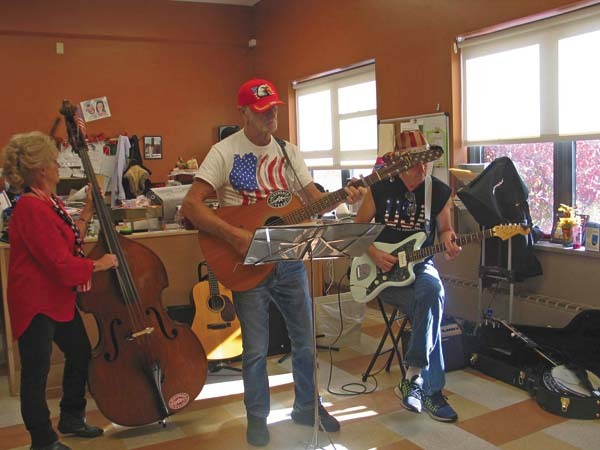 The veterans spent the day listening to music from the Liberty Bell Ringers of Liberty Enterprises Montgomery County ARC in Amsterdam, along with live music from the band The Back Porch Pickers. 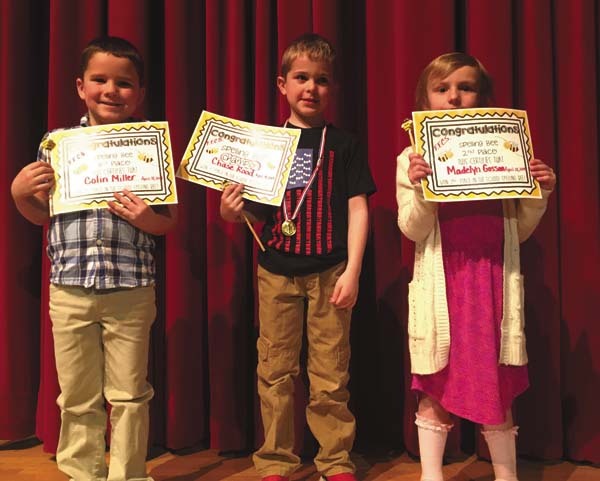 The veterans were also given a free lunch courtesy of Applebee’s and each of the 23 veterans was given a medal and a certificate with their name. “I think that it’s important to honor the people that give up themselves to protect us as a nation,” said Nancy Murphy, Fulton Center employee. 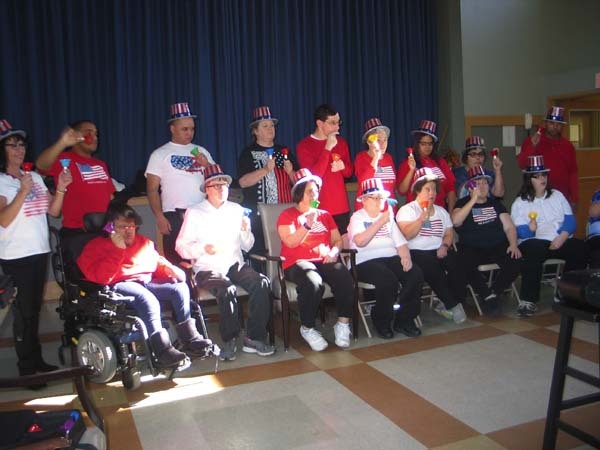 The Liberty Bell Ringers were all dressed in red, white and blue with matching hats as they rang their bells along with the patriotic music. 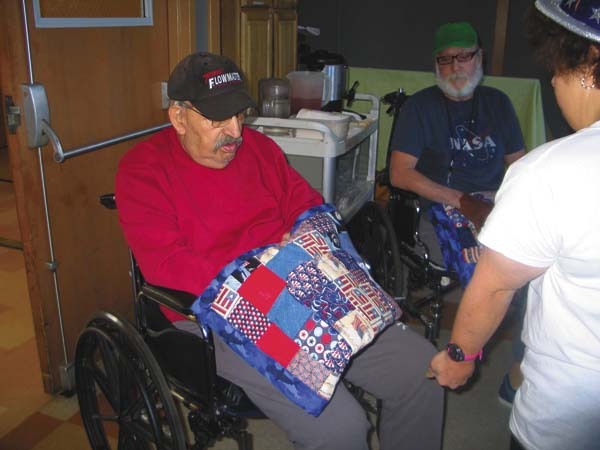 Once they finished their music set list, members of Jodi Brown’s sewing class at Liberty ARC gave some of the veterans quilts that they had made. 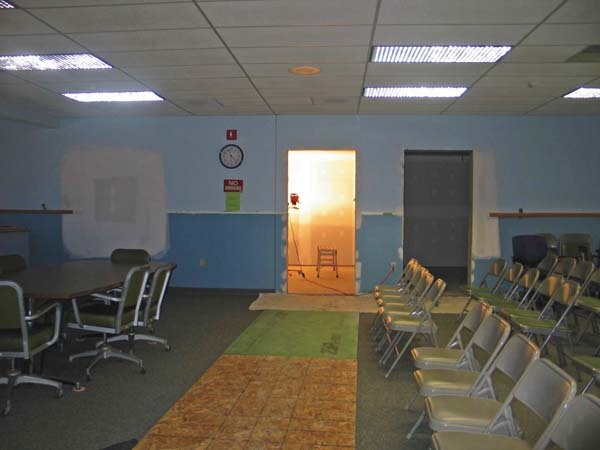 When the Liberty Bell Ringers were finished with their joyous bell ringing, veterans gathered in the recreation room where the Back Porch Pickers were ready to play some of their blue grass music along with a few patriotic songs. 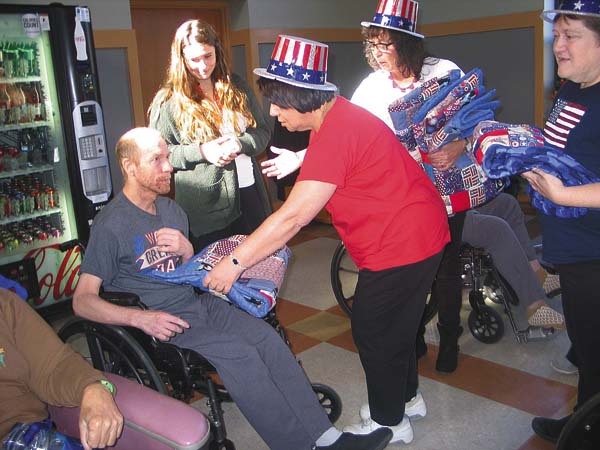 The Back Porch Pickers band have been together since 2010 and perform for the veterans every year. “We love it,” said Mary Rumpf, stand-up base player. 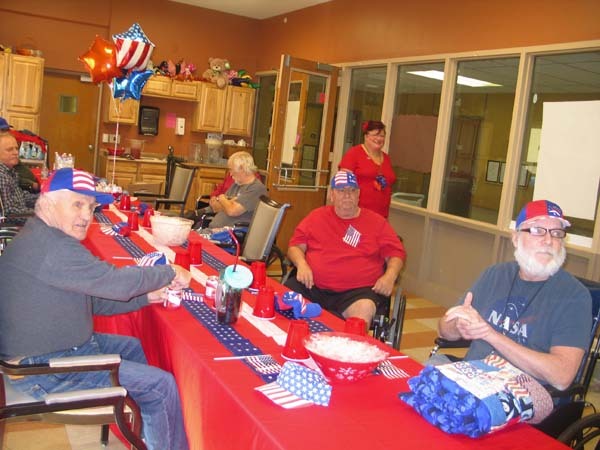 The veterans listened to the blue grass music while they enjoyed their free meal. “I think it was very nice, I appreciate it,” said Frank Jewels, an Airforce veteran who served from 1970 to 1973. 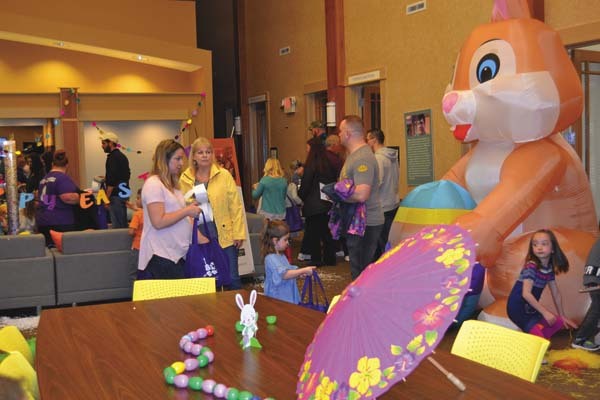 “People remember Veteran’s Day, but never me, personally,” Jewels said.